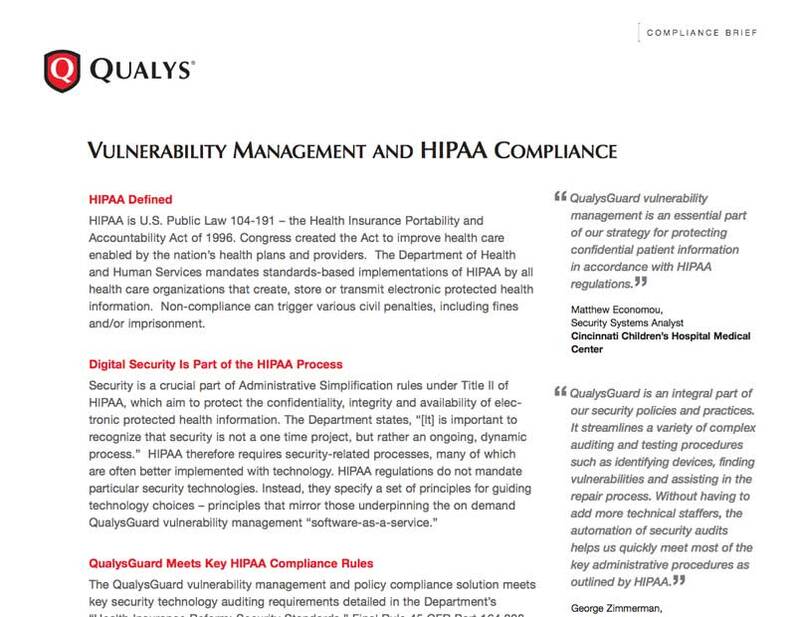 Free Brief: HIPAA Digital Security Compliance | Qualys, Inc. The Health Insurance Portability and Accountability Act has had substantial impact on the healthcare industry. 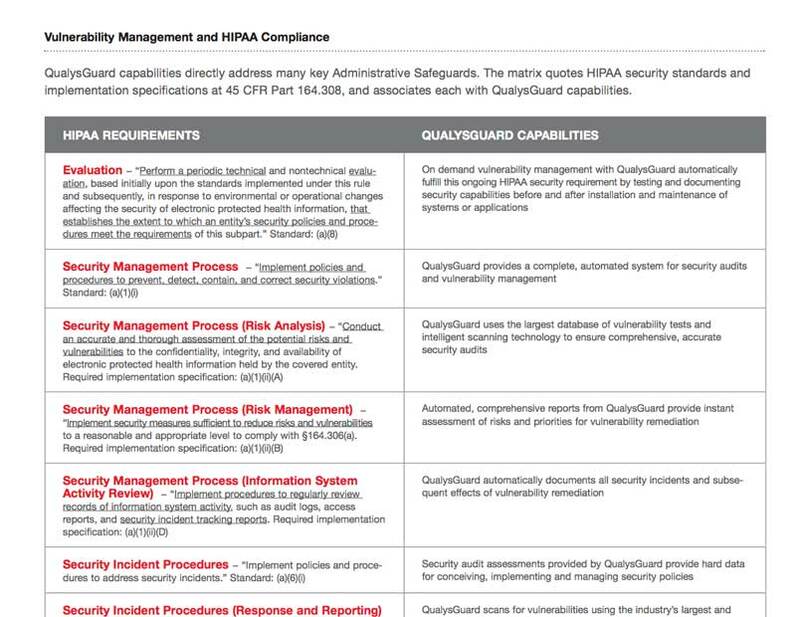 Our free brief explains how on demand security audits make HIPAA compliance easier to achieve.